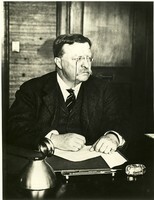 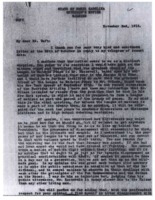 Subject contains "Roosevelt, Theodore, 1858-1919"
Senator Randall recommends that President Wilson include President Roosevelt in the Paris Peace Conference. 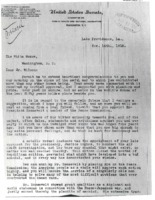 Governor of North Carolina expresses his disgust with Teddy Roosevelt. 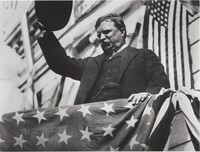 Governor of North Carolina complains about Roosevelt to President Taft, head of the League to Enforce Peace. 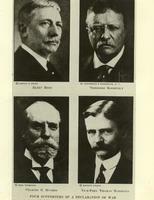 Four-photo spread of Elihu Root, Theodore Roosevelt, Charles E. Hughes, Thomas Marshall. 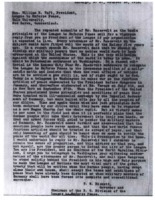 Labeled "Four Supporters of a Declaration of War." 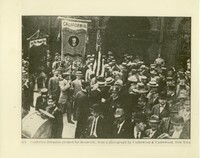 California delegates pledged for Roosevelt.